There has been violation of standard operating procedures by several departments, including the home department, headed by Maharashtra chief minister, the SIT report said. 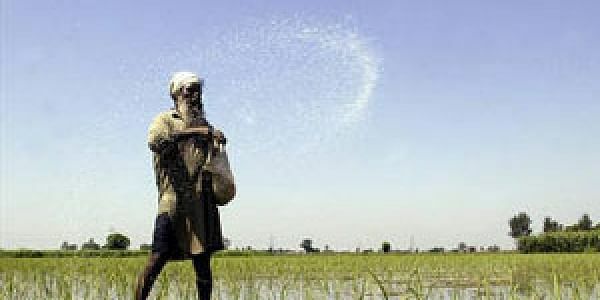 MUMBAI: The report of the SIT, which probed the deaths of farmers allegedly due to inhalation of poisonous pesticides in Yavatmal, has revealed that names of 4 farmers, who had committed suicide earlier, also figure in the list of the pesticide victims, an official said today. According to the official, the report, which was submitted to the government recently, also says that there has been violation of standard operating procedures by several departments, including the home department, headed by Maharashtra chief minister. As per a state government report, around 21 farmers died in Yavatmal district due to inhalation of poisonous fumes during the spraying of pesticides on cotton plants. Over 400 farmers and labourers have fallen sick, of which around 21 have died, it says. Yavatmal district is also infamous for large number of farmers' suicides. According to the official, inclusion of the names of the 3-4 farmers, who had killed themselves earlier, in the list of pesticide poisoning deaths reported in September- October this year, could have been done at the departmental level. A senior IAS officer posted in the state Agriculture Department alleged, "It is a deliberate attempt to show these suicide cases as victims of pesticide inhalation possibly to misappropriate the compensation amount (at the departmental level) given by the state government." "It is not just about inserting the farmers' names for compensation. It seems officials from the health, agriculture, home and revenue departments, apart from private companies selling these pesticides, are involved in this mess..." he alleged. The SIT report will be soon be made public, after the government officials hold a high-level meeting next week. "In case of these 3-4 farmers, there was no post-mortem report, that is why the issue was probed further. It revealed that those farmers had already committed suicides and their names were mentioned in the accidental death reports of the state government," he added. "All this raises some serious questions. How come local health officials ignored such basic procedure and allowed mentioning of farmers' names into the list of alleged victims of pesticide fumes? In such cases, the revenue and home departments also come into the picture and it will have to be probed further as well," the officer said. In the report, the SIT also mentioned that the local government doctors collected the blood samples of pesticide victims and in most cases, asked their relatives to get the samples tested from the Nagpur-based laboratories. These instructions were given despite the government having funds to carry out such blood tests and obtain results, the report said. "Who will go to Nagpur, which is 150 kms away from Yavatmal to first submit the sample and later collect the report? Hence, many relatives did not do it and the samples were lost. And then local health officers submitted a report that pesticides were not responsible for these deaths," the officer said. On the role of private companies in the pesticide deaths, the official said, "As per our information, a company introduced a new variety of BT cotton into the market without prior permission. Incidentally, this under-development variety was sown in Yavatmal and it grew bigger than the normal height of a cotton plant. "Some local farmers have claimed that because of such height, the spraying of pesticides increased the exposure of farmers to the chemicals and it worsened the situation," he said. "We will find out how the company brought its BT cotton variety, which was still under development, into the market without permission. This is nothing but playing with the lives of farmers," the officer said. On October 11, Chief Minister Devendra Fadnavis had announced setting up of special investigation team (SIT), which probed the farmers' deaths allegedly due to pesticide inhalation. The three-member committee comprised Inspector General of Amravati, Divisional Commissioner of Amravati and Joint director of Public Health Department from the state secretariat. "Not a single person from local department, such as district collector or district health officer was included in this committee," the IAS officer said.